Simply called ‘Select Subject’, it uses Adobe’s Sensei AI to understand what exactly you’re trying to select. While results aren’t perfect, it’ll at least give you a head start that could amount to legit time savings. Selecting subjects is one of the most vexingly menial tasks you can do in Photoshop – my curly hair is often a pain point in my own photos. I’m glad technology is finally smart enough to make it a bit more bearable. In other news, Photoshop is improving its High DPI support so that the UI scales reasonably with your own Windows settings. Meanwhile, the app now includes support for Microsoft’s Dial so you can adjust your brush properties while drawing – something we’ve been waiting for since the Dial was first announced. 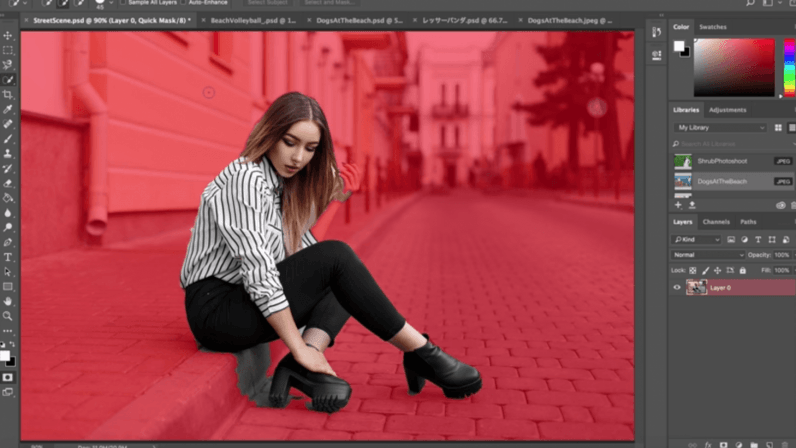 The update is rolling out to Photoshop users today. For more on new features in the update, check Adobe’s blog post here.